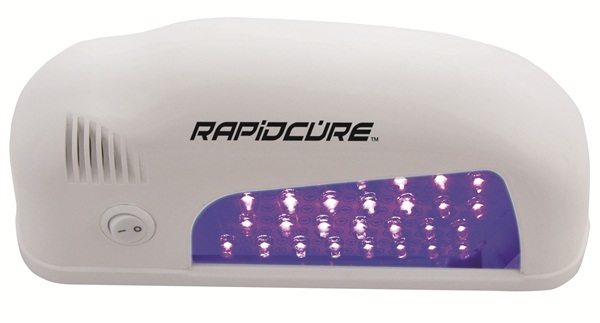 Americanails’ RapidCure Mach I LED Curing Lamp cures LED formula gels, gelpolishes, and top coats in seconds. Mirrors surround the hand for rapid and even curing. There are no bulbs to change for the life of the lamp.